Today we are marking a great partnership between the South Dublin Comhairle and their friends in Leitrim. It is inspiring to be here today to launch important, strong and powerful messages. These are messages which will ensure that young people are protected, safe and well. I know these projects will be successful – because they are the result of the hard work of young people themselves. As an Independent TD – as Minister for Children and Young People – I am always greatly encouraged about the future of our communities, of our city and of our country every time I see the work of the members of Comhairle na nÓg. I challenge anyone to watch this video without being moved. Its main message is one that has been with us since the beginning of time – but is too often ignored – that is to ‘turn the other cheek’. The modern take on this message ‘Use Your Brain Not Your Fists’ has never been more important. It is something which we all hope we never have to deal with. The trauma of seeing a loved one lying helplessly on a nightclub floor, a street or a bed in a casualty unit following a violent incident – often unprovoked and often fuelled by drink or drugs. The consequences are life changing for everyone involved. The enormous impact, the shock and the hurt is visible for all to see because two families who have courageously shared their experiences in this video. Today we should acknowledge Joe and Rosie Dolan who lost their son Andrew following an unprovoked assault six years ago. We must also acknowledge Joe and Joan Grogan from Tuam, Co Galway whose son Shane suffered a catastrophic brain injury after a brick was thrown at him while he walked his girlfriend home. Their courage, their honesty and their generosity in agreeing to share the horrors of what happened will not only change attitudes and behaviour – it will save lives. 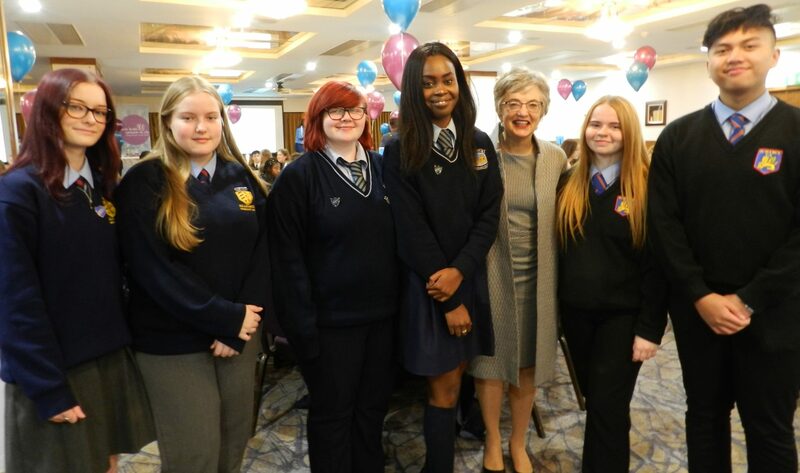 I want to thank Leitrim Comhairle for your work – and to encourage South Dublin Comhairle to bring this message to every school, every club and every organisation in our communities. Today will also see the launch of another important video- watch the video here .South Dublin Comhairle is promoting Health and Wellbeing. The production is the culmination of a busy year. In May I was delighted to attend the Run4Fun at Tallaght Stadium which saw over 150 people take part in a fun filled day. In addition to the run itself it was an important moment to get information out on how to stay healthy and well. In particular the supports which are available to promote mental health were to the fore. It is time now to bring that message to a wider audience and your video will ensure that. We must let friends who are going through a particularly difficult time in their life that they are not alone – that help, support and friendship is at hand. I hope this video too will be shown at every possible venue and placed on all main media platforms. I am delighted to see South Dublin County Council Chief Executive Danny McLoughlin, An Garda Síochána, Foróige and Crosscare are here to show their whole-hearted support for your efforts. Too often our young people are a soft target for negative comments. Portrayals of teenagers as being irresponsible, drunk or even violent is easy fodder for headline writers and some politicians seeking cheap publicity. As your Minister let me be clear – such views do not reflect the skills, ability and passion of young people I meet every day. Those of you gathered here from South Dublin and Leitrim represent the very best of what the next generation has to offer – and I have seen it every part of this country. Comhairle Na nÓg and its many members give me huge hope for the future of our country. You have a vision of a country where all are treated equally, where there is compassion and where difficult issues are responded to – not brushed under the carpet. Don’t ever lose that vision – and don’t ever lose your voice. I firmly believe that young voices must be the loudest – in particular in responding to issues which impact on their lives. We are seeing that today. I congratulate you on your work and wish you every success with future projects.